The future is now. Nike, together with The Michael J. 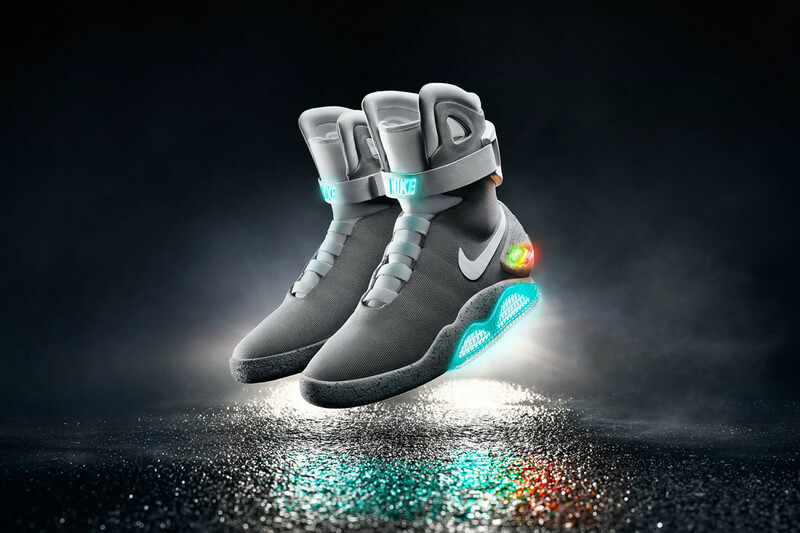 Fox Foundation, released 89 pairs of their self-lacing Nike Mag and raised $6.75 million for Parkinson’s research in the process. “Thanks to Nike, we’ve raised a boatload of money for research and we’ve had a ton of fun doing it,” said Michael J. Fox, who was diagnosed with the disease in 1991. The highly-anticipated sneaker features the innovative “power laces” first imagined nearly 30 years ago in Back to the Future II. For $10, sneakerheads could purchase a ticket to enter in the history-making Nike Mag raffle, with 100% of the proceeds going to the MJFF to help find a cure for Parkinson’s. Two pairs were also sold at private auctions in London and Hong Kong where they reached $56,000 and $105,000, respectively. The final pair will be auctioned off at a gala for the foundation in New York on November 12. It took years for the brand to finesse the revolutionary Adaptive Fit technology made famous by Marty McFly. “It senses the body and reacts,” Nike CEO Mark Parker said of the patented self-lacing technology, which tightens or loosens after sensing the wearer’s foot. “We could have never imagined when we started this journey 30 years ago it would had such a wide-ranging effect, and can’t wait for what’s next,” Parker added.